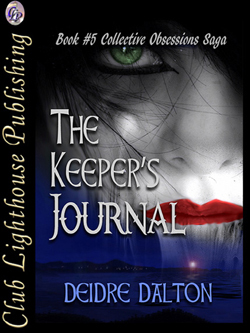 The Keeper's Journal, fifth novel in the Collective Obsessions Saga, is now available in print. The paperback edition includes a new book cover designed by T.L. Davison. The release of The Keeper's Journal follows the first four titles in the family saga: The Advent, Quixotic Crossings, The Twain Shall Meet and Enthrallment.